My last post challenged a New York Times op-ed’s view that the media industries should give up fighting piracy. Implicit in the Times editorial’s argument is the idea that piracy has little or no impact on media sales — a view shared by many in the tech community and seeming by some journalists as well. My colleague, Rahul Telang, and I recently finished a paper reviewing the academic research on the impact of piracy on sales. Our review finds that, when viewed as a whole, the academic literature strongly suggests that piracy harms media sales: the vast majority of academic papers — particularly those published in peer-reviewed academic journals — find evidence of harm from piracy. This conclusion is consistent with reviews of the academic literature by Stan Liebowitz in 2006 and by Felix Oberholzer-Gee and Koleman Strumpf in 2009, but includes more recent studies — and we believe these recent papers make the case of harm from piracy even stronger than what the literature suggested just a few years ago. One recent paper in particular caught our eye. As we were finalizing our review, George Barker and Tim Maloney of the Australian National University posted a paper to SSRN contradicting the results of a prior paper by Birgitte Andersen and Marion Frenz. Andersen and Frenz used data from a 2005 Decima Research survey on piracy and purchasing habits of more than 2,000 Canadian citizens. Their original report to Industry Canada used this data to conclude that increased piracy actually helps music sales: “for every 12 downloaded songs, music purchases increase by 0.44 CDs.” While this finding was softened to a finding of “no association between” piracy and CD sales by the time the paper was published in the Journal of Evolutionary Economics, Andersen and Frenz’s work was widely touted in some circles as conclusive evidence that piracy doesn’t harm, and can in fact can help, media sales. The Barker and Maloney paper, however, used the same data as Andersen and Frenz did, but came to the opposite conclusion: “a 10% increase in P2P downloads reduces CD demand by around 0.4%” (emphasis mine). The change in results was driven by several changes in Barker and Maloney’s empirical analysis, the most interesting of which was their decision to include a large number of respondents excluded in Andersen and Frenz’s study. Specifically, the Andersen and Frenz paper excluded all respondents who did not purchase CDs in 2005 (about 20% of the total sample) under the rationale that “these consumers may never have been active in CD purchasing” and therefore were irrelevant to an analysis of the impact of piracy on CD sales. Barker and Maloney noted that the original survey data included questions on the number of CD sales in both 2005 and 2004, allowing the authors to partially test whether consumers who had no CD purchases in 2005 were “never active in CD purchasing.” Interestingly this test showed that about one-third of consumers who did not purchase CDs in 2005 had purchased CDs in 2004. This one small fact radically changes the likely importance of these consumers to the analysis. While consumers with no interest in CD purchases might be irrelevant to the analysis, consumers who stopped purchasing CDs between 2004 and 2005 might be exactly the sort of consumers whose purchases were most influenced by piracy. I believe there are two important lessons here. First, that small changes in the understanding of the data can make a large change in a paper’s conclusions, a lesson that Joshua blogged about previously. Second, that in the context of social science research we should be careful not to take any one paper as conclusive evidence of an effect. Rather, because of the limitations inherent in any social science research, when trying to understand what the academic literature “says” about a topic, we should look at the literature as a whole. Applying this standard to the academic literature on piracy one finds paper after paper examining different datasets from different industries in different timeframes all reaching the same conclusion: piracy harms sales. I believe there is a very interesting question when we discuss piracy, sales and prices. How big can prices be before the incentive to get pirated content grows? Piracy does harm sales, probably much less than rightholders argue, but can they really keep their prices in such a level that they do not also harm their sales? I mean, whatever happens with piracy, if I am correct actual prices per unit sold would be getting lower. As I understood, you agreed that piracy would never stop according to the NYT article mentioned, so keeping prices as high as in the analog era cannot be done because pirated content becomes much more attractive. So, the digital economy would intrinscally be harming sales, and piracy might be just a symptom and not the illness. I’d would appreciate a lot your point of view on this. Interesting points Gonzalo. My view is that “competing with free” (piracy) is just a special case of price competition. In that view the pirated content and the paid content are substitutes and there is certainly some elasticity between the price of the paid version and the demand for the pirated version. Unfortunately, I don’t know of any research that has attempted to measure this elasticity. Given this, what I understood you to say is that since piracy is an additional competitor in the digital world, it will necessarily lower the prices of digital goods relative to physical goods. My push-back there is that digital goods have their own set of attributes which might provide more value to digital customers than physical goods do and if that is the case digital prices don’t necessarily have to go down, even in the presence of piracy (they might go down, there’s just no theoretical reason to believe they have to). Thanks!. Actually, I aim to compare not phisical goods and digital goods, but legitimate digital goods and pirated (free) digital goods. Since it is alleged that we cannot stop piracy, the incentive to find a pirated source will be bigger when legit digital files rise their prices. There are also some attributes in legitimate digital sources – usually quality, safety, usability and the time invested in getting the file – that become a good reason to pay, but for some consumers the price content owners mark their digital goods with are too high compared to “free” diigtal goods: in that case, those attributes aren’t worth enough to pay that much …and piracy should grow?. Ok, that makes sense. Then, yes I do think the presence of pirated content will lower the optimal prices of digital products. The only other comment I’d have on that is that another factor that plays into this is a consumer’s stickiness to their chosen channel (piracy or legitimate digital). Let’s put it this way: just imagine that blueprints for a Ferrari are pirated, open sourced or whatever other way to make them public. Then imagine that you can actually print every piece of a Ferrari in your own 3D printer… Which Ferrari’s price is high enough to incentive people to build their own Ferrrari instead of buying the legitimate one? Please, assume that you can replicate even the Ferrari seal in a way that everybody else will think it is an actual Ferrari. Better yet, imagine some people making slight changes to customize it to their own preferences in a way that it can not be said you are copying a Ferrari. Expect new factories of low cost luxury cars that look like a Ferrari and can emulate the Ferrari experience. This is not science fiction, some people are printing guns in a 3D printer, why bother in buying one? Of course, 3D printing technology is in its infancy and it is not free and you need the knowledge to make it work. Please remember it is said that piracy cannot be stopped and, certainly, nobody has stopped it in the last forty years despite countless menaces of sueing people. So digitalization and competing against not legitimate it is a reality that sooner or later even Ferrari should have to consider. Let’s now think about non rival goods where it is very hard to create a different and worthy experience to actually create value against an unlegitimate copy. Building a Ferrari clone requires very good skills, copying a file is a no brainer. Which is the cost of sending a police officer to every home, business or library in the country where people are downloading files? Which is the cost to freedom in having insane controls in every computer, smartphone or tablet? Probably, you wouldn’t accept the Government sneaking in your mail and email. So, whatever it is, a theft, an ilegal use, sharing, you name it ,a price strategy against free it is really an issue. I don’t think it matters much whether or not piracy harms sales (of course, it does matter to those harmed, but on an academic level it’s not that important). In fact, I wouldn’t be surprised if the truth was somewhere in the middle. Some gain thanks to piracy and some loose. Both can be proven quite easily, too. I have but one question I have never seen anyone answer – least of all those opposing piracy. Let’s go back to the Napster case in 1999. We closed that one down. Did it stop or slow down piracy in any way? Nearly 15 years later we can positively conclude that an entire generation feels it’s okay to pirate. We were unable to stop it. Period. So the real question is not whether or not it harms us. The real question is how to deal with it. Do we fight it – and fail? Or do we use it for what it’s worth? That doesn’t mean we have to give everything away – it merely means that we have to find a way to incorporate piracy into a common sense approach that can actually boost sales. I hate to say it: but if we want to do something about piracy in an effective manner, we will have to accept that it’s there and that it will never go away. We can fight a loosing battle or we can allow them to do some of our own marketing. And one way or the other, but marketing costs money. I admit this is not a perfect solution – far from it. But I’m afraid it’s the only valid option if we really want to have a chance. Things have to change and that can only be done if we stop fooling ourselves. Peter, what I’m saying is that while piracy may contain elements of both harm and benefit, that when you measure the net effect of piracy, the vast majority of the peer-reviewed academic research finds that the harm far outweighs any benefits. This is true across a variety of studies, in a variety of settings, using a variety of methods. 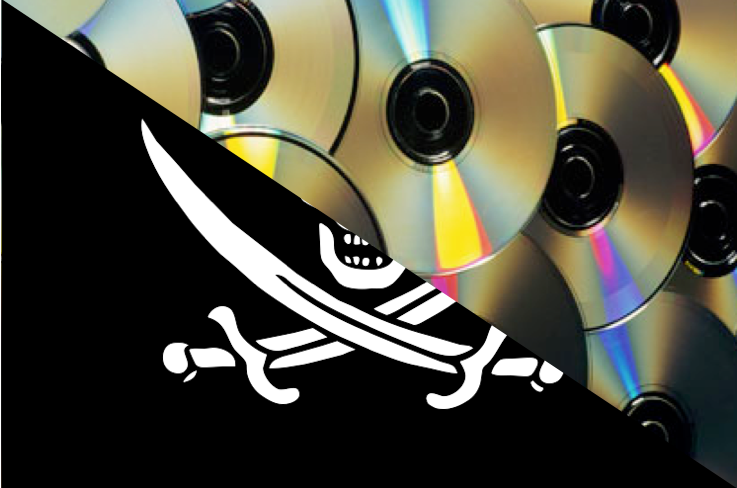 There may be theoretical benefits to piracy, but the main effect is harm. Your second point is actually very similar to Nick Bilton’s op-ed in the NYT (http://www.nytimes.com/2012/08/05/sunday-review/internet-pirates-will-always-win.html?_r=0). My response in my prior blog post (http://www.digitopoly.org/2012/08/20/anti-piracy-regulation-and-competing-with-free/) was that you don’t have to stop piracy; what you have to do is make legitimate purchases more attractive than piracy, and that you can do that with a combination of offering your content at a reasonable price in a reliable, convenient, digital channel, and using anti-piracy measures to make pirated content less attractive to the consumer than it otherwise would be. Michael, I don’t refute point 1 and I’m happy to see that there are people who do understand that there is another way of dealing with piracy (point 2). I’m just disappointed in groups such as MPAA, RIAA or Brein (in the Netherlands). They seem to think that the only solution is fighting to the death. I wish they realized that after nearly 15 years of pyrrhic battles they are only harming themselves. I don’t trust them to even think they can represent me (as an author of 45 books). When will they finally understand that you don’t solve a problem by shooting everyone and everything because ‘you don’t like what they do’? The more they block the Pirate Bay, the more it becomes a legend and make everyone to flock around it because they become the underdog. I learned a long time ago that if I hate something, I keep my mouth shut about it and find other ways to stop them – maybe even by changing my own tune. This way we destroy ourselves first and in the end there is no one to pick up the pieces. Sooner or later this will blow up – and I’m afraid it will be in our own faces. Is that what we want? I’d actually hoped that this would lead to some wisdom or insight, but found that from the beginning you were cross-comparing things that aren’t equal. The further revision to include those that had purchased in the previous year only seemed (to me) to further muddy the analytic waters, not clarify them. It was as if you went in search of an answer and then contorted the data to fit into a narrow hypothesis. Downloading a song is a far cry from buying a CD. I’ve much history with doing both, and to look at this set of data without considering the overarching system that they reside in seems rather short-sighted. Places to play that CD would impact greatly whether someone would buy a cd vs downloading a file. As people shifted away from having cd players (either portable or home systems) one would then transition to the most suitable system. This time period saw the introduction of many devices and disruptive technologies. These other factors seem to me to regulate what manner a person would choose as much as a decision to pirate or not. Also the availability of that file might indicate (as was my case) that the cd was no longer available, out-of-print, or rare in some way. That was what I found with Napster in particular, it offered a variety for a connoisseur who couldn’t have found that selection in ANY store (online or bricks-and-mortar). So I think just to query people as their habit without factoring in whether the cheap cd player they bought had broken down & they no longer had use for them, or they’d already converted their 10,000 CD collection and weren’t apt to buy another thing they’d then have to convert (or the itinerant problems that accompany that) is to not wish to understand the true empiric value of the data you have collected. I’m sorry there were far too many “might be’s” in this article for me to take it seriously. No offense intended, I just think it is overly reductive and not helpful in the discourse about the impact of piracy on sales. Donald, I’m not sure on whether you are objecting to the findings in Birgitte Andersen and Marion Frenz’s paper (http://ideas.repec.org/a/spr/joevec/v20y2010i5p715-740.html) that piracy in Canada didn’t harm sales, or the rebuttal findings in George Barker and Tim Maloney’s paper using the same dataset, but finding that piracy does harm sales (http://papers.ssrn.com/sol3/papers.cfm?abstract_id=2128054). I tend to find the Barker-Maloney paper’s results more compelling and more consistent with the vast majority of the academic literature which finds that piracy does harm sales (http://ssrn.com/abstract=2132153). But, honest people can disagree. Either way, neither of these are my papers, so no offense taken. @Michael Smith: Thanks for your useful paper that I have linked a lot in several discussions. I agree with you on most points and wanted to add one point to Peter D’Hollander about “fighting piracy to the death-issue: I am from Germany, and here in Europe it was interesting to see that the piracy issue has effected the different nations in different ways, also partially depending on how strong their futes against piracy was. Germany has had a system that was fairly effective against piracy, and has suffered way lower losses than most other european countries. Spain to the contrary has seen lots of piracy, almost everyone does it, and it has basically annihiliated the spanish musicindustry. to an extend that there are hardly any spanish newcomer releases no more (this was happening before the current spanish economic crisis, just in case someone wants to raise that point). My point is that while you have the impression that the struggle of companies like Brein, MPAA or any other organisation against piracy is futile, it might actually have held the flood back more than we think. This becomes very clear when you look at the european market and see how many countries have been affected from piracy at what specific level, and that the toll it has taken on the creative inustries was actually quite different, and has had some sort of connection to the effectiveness to fight piracy. So, while I agree with Micheal Smith that the solution is also about a proper offers, proper prices, etc.there is a strong reciprocal(?) dependency between the level of piracy and the success of legal business models. I don’t agree and I seem to be backed up by a study of the European Commission. It clearly states that piracy has no influence on the sales of digital music. In fact, there even is a positive influence, although that’s really small: 0,2%. Streaming musix generates 0,7% more sales. can you explain what makles this studiy so special that it erases the findings of all those other studies? I have not rread the studies, but a few peopple that I repsect a lot have criticzed this study a lot (Will Greene/Spotify for instance). HAve you read it? And what I am also curious about: How come this study gets hailed as an official EU study? Just wondering where this came from, as it got criticised for its methodology quite a bit. It’s published on the joint research centre website of the european commission, which generally means it’s from the ec http://ipts.jrc.ec.europa.eu/publications/pub.cfm?id=6084 . I’ve read it completely. Many people always critisize intel that doesn’t comply with how they would like to see the news spread. Sorry excuse, I think. I have not read the study yet, but I might still do it over the course of the week, if I have time. I remember the infamous Oberholzer/Gee/Strumpf study, which I hought was appalling, already from the logic of its general setup. I am not saying this study is as bad, but I am saying that a one intelligent person that I personally know have criticised this EU study for methodology. True. But that says nothing about the legitimacy of the facts at hand. and this argument works both ways. I have personally read the abovementioned study, and I thought it was really flawed, IMO. That did not keep a lot of people from spreading the study like it was the holy grail, WITHOUT reading it. The scientific way is to look at the methodology and then find a decision. Why do you think this study erases all the findings of all other studies before? Because it has EU printed on it? I dont know “Treme”, so can not say anything about its production expenses, but I can guess that the costs to “put it into the market” are higher than 1€ per copy that you suggest. If you run a restaurautnt for instance, and the manufacturing and purchase costs of a meal is, lets say, 3€, then you can not put it into the market for 3,10€, and fund a restaurant with it. You will die in a matter of a few months with that kind of calculation. Usually your profit margin has to be much higher than that to survive. So, if you demand to have your meals provided by 3,10€ then you ar eputting restaurants oout of business. The same happens if you do demand fto have your entertainment provided for 0,00 € as well. You ar eputting TV-Formats out of busines sas well. Yes, there is an econimc theory to it, and it is called “Free Rider Problem”. You ar esimply demand ding something for free that costs ovther people money. as loing as free riding is possible on a larg scale it makes markets fail. And, it keeps prices up, by the way, not down. I am not demanding a right for every musician to make a living, but I do demand a FUNCTIONING market. A market where “Customers” can plunder the good, is no free market, it is anarchy. Sure, shop clerks who handle their shotgunes well, still have a chance to survive, but other peopple that would have deserved to survive on functioning market conditions simply go under, because peopple do not want to pay for their goods. To me, what you outline ttis is an extremely cynical way to look at society and how it works. These artists have not done anything against you, yet you take their work without compensation. To me he pretty much sounds like a full record company. How much music has he released? Do you really think the bulk of his releases do compensate for the spanish market? Can his artists make a living from a successful releas,e oris this just a scpaegoat. I have seen a lot of these succes stories hyped, but the bottom line was that artists got underpaid and exploited mor ethan before. No, those markets are not dying, but they are faring much worse than they would have otherwise. Just like slavery does not kill people. It just simply exploits them at the advantage of others. Yes, the more you raise prices, the more piracy you get. It is as simple as that. The problem for the so called cultural industries is that they cannot expect to keep the same price levels they had before digitalization ocurred. On the other hand, as I’m Spaniard living in Spain, I really doubt there are no newcomer releases… unless you only consider newcomer releases those made by traditional record companies. Music it is still alive in Spain and many artists release their works through the internet. To foster music or any other form of art creation is the whole point of intellectual property… if there are artists working despite piracy it is difficult to state IP advocates have a solid case against so called illegal downloading (which, by the way, it is no illegal in Spain if there is no profit on doing it). Well, I dont doubt that there are still music newcomers in Spain. But do they really go far? Can they afford decent production and promotion? I dont divide music up into “Released by LAbels” and “released by self”, but in categories like “professionally marketed release” and “amateur release”. And I see amateur releases exploded, but I dont see any added value created, and this worries me. Quality of music goes down, at leats in my book. It is simple entropy. If you dont put anything into the system, you wont get a lot out of it either, except amateur-releases. No, it is not. Just because a few artists can live with giving away their music for free and live on shows, or voluntary payments from fansd, it does not mean that everyone can do iotz. Most artists that do that are so-called “self contained artists”, they own all the rights oif their music. But many artists have different setups, and they are not able to offer it just as you see fit. Again, the bottom line is this: If you dont put any money into the system, you will not get anything satisfactory out of it. Amateur idealism only goes so far. Believe me, I have been there (with artists) many times. Do I need to explain the problem of the marginal cost of the digital copy? Selling for €42 the second season of Treme (Spain’s price), something that costs less than 1 euro to put in the market and almost 0 to download reaaaally creates a huge incentive to avoid such overprice. It’s a no brainer, but I have the suspicion that economic theory supports this vision. Of course you are going to tell me that not authorized downloading should be banned and prosecuted. Ok, more than 30 years of “fighting” piracy have not worked. And maybe you don’t have concerns about privacy of communications, but I do value that no government can read my mail, my email or monitor what I read or tell privately. I think that an actual democracy stands for the privacy of your personal communications. Does it matter? I mean, can you tell me where is written that anyone who wants to make a living singing, writing o shooting movies has the right to do it? There are nowadays lots of means to produce music, text or video; there is no barrier to distribute it. So, you have the right to try it, not the right to be maintained. Find your audience, seek a way to monetize: it’s called free market. May be this is the era of amateurs’ revenge: having the chance of being prometed by a third party does not guarantee any work to live for posterity anyway. To talk about Spain and new ways of producing and promoting music you should check Carlos Jean’s page and works and the new artists that he and his team have released without the help and recognition of the record companies system. Anybody can download and remix his music (and they even sometimes pay fot it) Of course, the audience has spoken and he owns the hottest company promoting new artists. “There is an artist for every brand, and a brand for every artist” it is his motto. He found his way, find your own. So, music and culture, after all, have not died. And they will not. Damn, I wrote such an elaborte answer to your last post, and it did not get registered for some reason. Might try to write something later today or tommorrow again. ” Lombardo says that being ranked as the most illegally downloaded TV series for 2012 “is a compliment of sorts.” He went on to say that the demand for the content is there and that despite the huge amount of piracy for Game of Thrones, “it certainly didn’t negatively impact the DVD sales.” Lombardo sees piracy as something that simply comes along with a successful show on a subscription network. Yet, after these amazing words, he states that they are continuing to fight piracy. Specially, the one that is done by people monetizing it. The point here is that something appears to be really wrong with IP regulation when we have such a statement from a big gun of the entertainment business. Yes, Shia LeBeouf said the same thing about piracy, that it was cool, and he does it himself. Then John Malkovich said this was an “idiots statement”. Now choose to believe whom you regard as more intelligent, more experienced: Shia LeBeouf or John Malkovich? Game Of thrones is a cult serioes, and I also believe that piracy has in fact not harmed THAT specific franchise a lot. But I think 905 of the other series fare a different fate. The question you should ask yourself is: How does GoT get financed in the first place? Who is able to finance it? And: What is the prospect in the future of more of those projects happening. I always see this great asymmetry when certain news travel around the world (or better: The web) if a lot of peopple like them. News that peopple dont like so much, dont travel that far. Interesting is it not? For every Lombardo-Statement you have a dozen statements from TV executiuves saying the exact opposite. But somehow people dont want to hear them. Isnt that … scary?